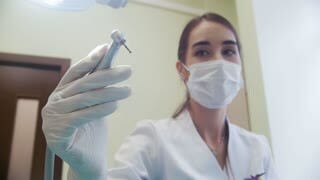 The start of dental treatment, doctor lower the dental chair. 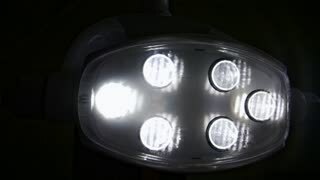 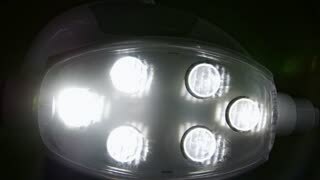 Dentist turn on the lamp, female open the mouth. 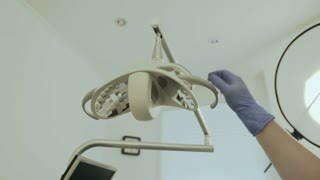 A woman dentist in a mask directs the light of the lamp to the camera. 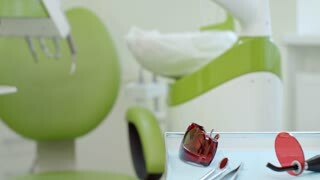 The dentist's office.